G'day Gavin. I love it! A gunboat! There's a few forumites on WB who occasionally carry a swivel gun, and at least one NZ'er who boasts a brass cannon. Maybe I can build a potato cannon for my Mac? Your Macgregor is so slender I'm impressed you want to go beyond a pea shooter. Come to think of it, the pea shooter's the thing – orallly reloading peas would have significant benefits compared with a potato gun. On this side of the pond, we mounted similarly huge shotguns in tiny skiffs or punts with no sail, the better the sneak up on the quarry. 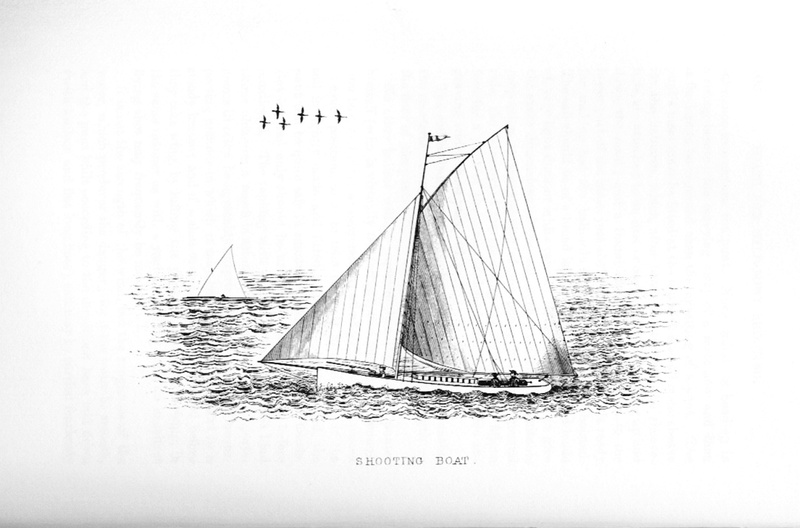 Propulsion was with a crooked sculling oar passed through a hole in the transom, and the gun wasn't on a swivel. It was far too large to hold and aim, so it rested in a notch in the bow, and aiming was by means of pointing the boat. With a 2" bore and a barrel 8' or 9' long, accuracy probably wasn't too critical — the spread of shot over a long distance would have been huge, and gunners might bag more than a dozen ducks on a single shot. This was pure commercial activity, no thought of "sport".